In Korea, galbi restaurants are on nearly every block — there’s always someplace for Korean BBQ lovers. 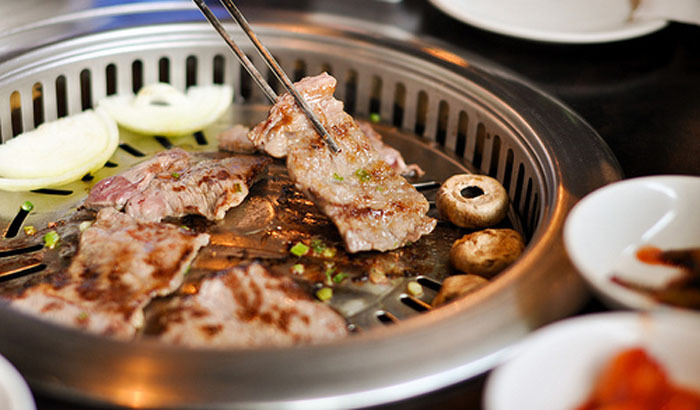 If it’s hard to choose, just go with the crowd and check out some of Seoul’s most famous and popular galbi restaurants according to Korean bloggers. You might have to wait on a few lines, but that just reaffirms you’re eating at some of the best galbi restaurants in Seoul! 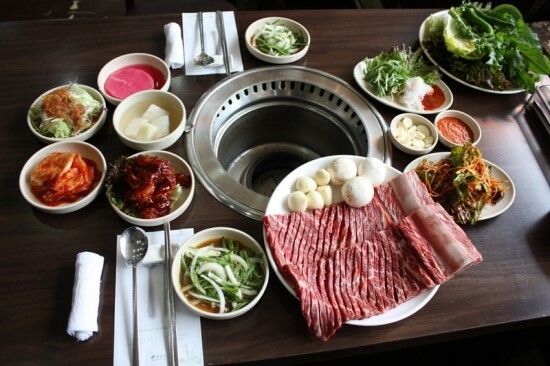 This 24-hour galbi restaurant, located in the ever so trendy Nonhyun area (near Apgujeong), is a favorite for Korean drama or movie superstars. Tables are commonly reserved for celebrations by Korean drama or movie crews after they successfully complete their projects. Walls are plastered with pictures of Korean celebrities that have eaten this restaurant’s famous galbi offerings. 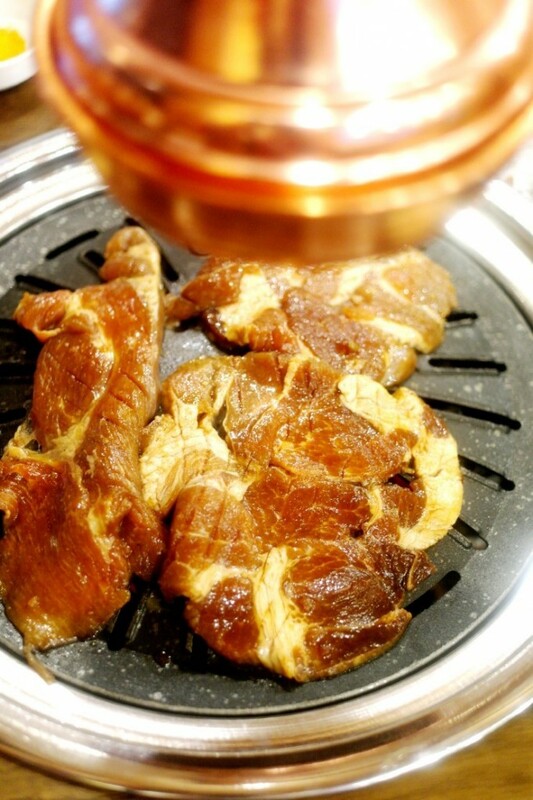 Come and try their specialty, 왕생갈비 (wang-seng-galbi), which goes for 30,000 won a person. They have close to 250 seats, and things can get a bit hectic in there, but with some of the best galbi in Seoul and Korean celebrities galore, you’re in for a complete Korean experience. Another restaurant that takes the Mapo Sutbul moniker, this restaurant is famous for its marinated galbi (양념갈비), both beef and pork versions. What makes this Korean galbi restaurant different is the special marinade they use. Rather than using the typical seasonings of other Korean galbi recipes, they add plums in the marinade to add a natural sweetness. 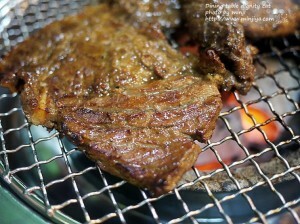 One serving of marinated beef galbi is 26,000 won, and you can try the pork for half that price. Tip: Be careful not to go to 신촌역 (Shinchon Station), which is also on line number 2, but all the way on the other side of town. 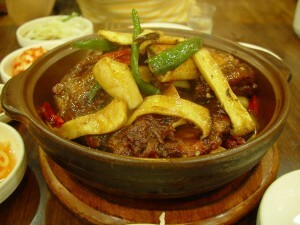 This galbi restaurant is situated right in the middle of Yaksu Market (약수시장). Some might call it unrefined, but others will say it’s a very old school Korean experience (plastic chairs, no interior design, crowded, etc.). But its simplicity is also part of its success. There are only two items on the menu: pork galbi (돼지갈비) and pork rinds (껍데기). 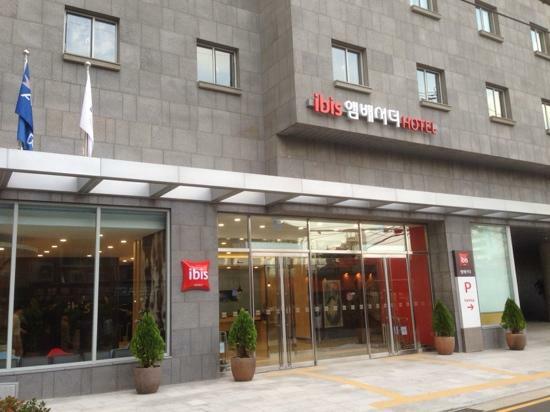 Even with the limited offerings, this place is a favorite among Korean bloggers. And for 12,000 won for each serving, you can try a lot. If you love galbi jjim (갈비찜), you’ll most definitely want to head over to Seochomyeonok, one of the most widely regarded galbi jjim restaurants in Seoul, for this heavenly galbi variation. The heaping portions are one of the best parts of this galbi jjim restaurant in Seoul. People say the galbi jjim here is not too sweet with just the right amount of kick from the peppers. When you’re done, top off your meal by asking the staff to fry some rice in the left over marinade (see language tip below). Smallest galbi jjim servings start at 35,000 won. Gangnammyeonok is the other restaurant in this two-horse race for best galbi jjim restaurant in Seoul. With any order of galbi jjim (갈비 찜) you’ll get a bowl of galbi tang soup (갈비탕 국물) for free, a nice warm up for the main course. But galbi jjim is what you’re here for. Korean bloggers claim that the secret is the sesame oil in this galbi jjim recipe, which all amalgamates to a little-salty, little-sweet, semi-spicy, fall-off-the-bone galbi jjim other restaurants owners can only hope to make. Smallest galbi jjim servings start at 35,000 won. 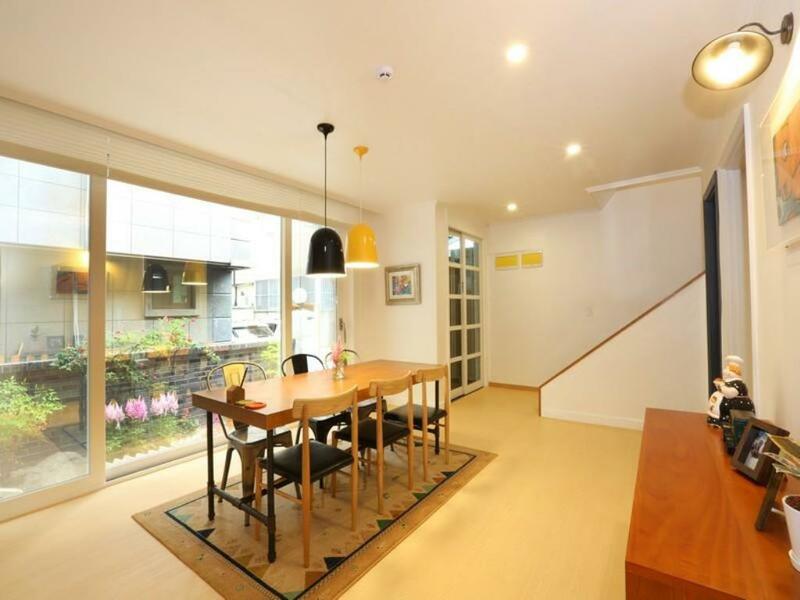 This popular restaurant is found in Yeongdeungpo’s restaurant alley. It may be a little more difficult to find, but this spicy galbijjim variant (매운갈비찜) is well worth the trip. It has all the sweet taste of galbi but with an added kick of spice. 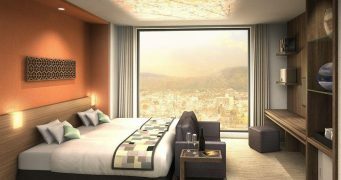 Prices start at 30,000 won. Don’t think that just because it’s all you can eat, this place is bad. The quality of the food here is well above par. Although your only choice for all you can eat is the pork galbi (돼지 갈비), you’ll be pleasantly surprised to find the quality and flavor of the goods are a mismatch for the low price (9,900 won). You’ll also find charcoal fires here, which aren’t typically offered at other all you can eat galbi places. Tip: Might be kind of hard to find. This blogger says get out of exit 5, take two immediate lefts, and the building will be on your right. 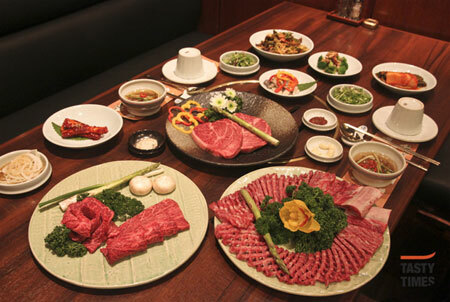 If you’re a fan of fine dining or have a special occasion coming up, head over to Byeokje Galbi. This highly recommended, fine dining galbi restaurant in Seoul has some of the best galbi in town. Literally. 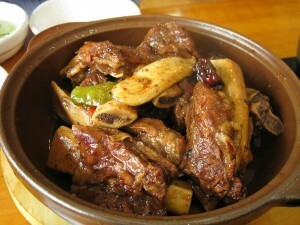 They only use high-end Korean beef (called hanwoo) in their dishes. 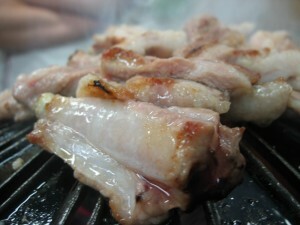 Galbi BBQ dishes start at 30,000 won for bulgogi (불고기) and go upwards of 75,000 won for beef galbi (생갈비). Not in the mood for BBQ? 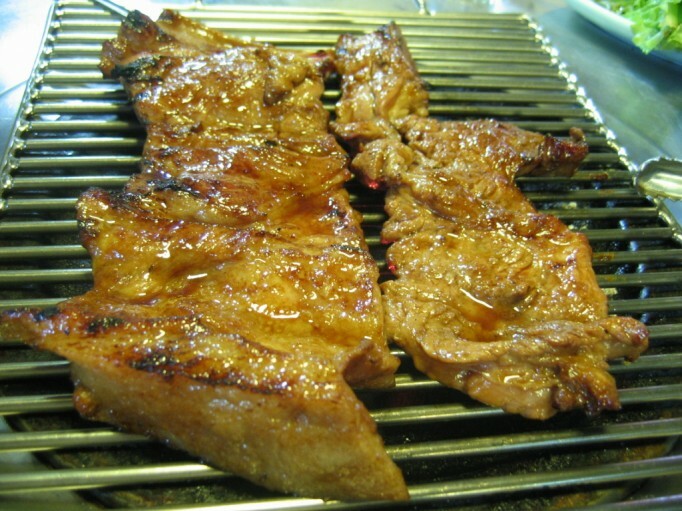 Then come eat other galbi-based dishes (i.e. 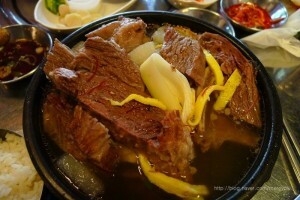 galbi tang, gom tang, naengmyun, etc.) 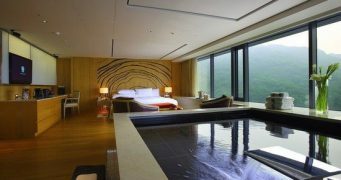 at prices starting from 9,000 won. The lone galbi restaurant in the suburbs of Seoul to make our list is Buam Galbi, masters of pork rib galbi. They boast an impressive 30 year history of pleasing their customers. While the standard interior of metal round tables with fire pits, might not make it the most impressive looking restaurant in Korea, the food is delicious and only 14,000 won a serving. Tip: Line number 1 and Incheon subway line number 1 are two different lines. Although this Seoul Bulgogi restaurant is known for its bulgogi, it’s also famous for another galbi variation. 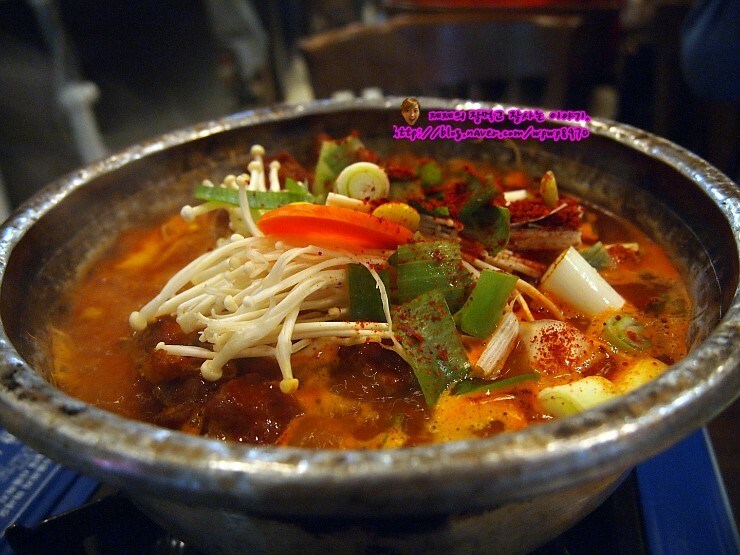 This restaurant is popular because it’s known to serve some of the best galbi tang in Seoul. Their breakfast menu is fixed to two to three beef-based items, which changes daily. But don’t think you can just walk in and get a quick Korean-style breakfast here. They have a set amount of dishes that they’ll prepare for the day, so you’ll have to call in to reserve your dish. Get their galbi tang and stay on the lookout for the owner, one of the coolest looking guys to ever grace a cutting board. Condition Power, Morning Care, Dawn 808, etc. Chug one of these before going to bed and you should feel less/not hungover the next morning. Hi does Mapo Sutbul Galbi (마포숯불갈비) in Nonhyun-dong (논현동) have pork Galbi. And what’s the approximate price range of the galbi there? Is it all as expensive as 30,000 W per person? Hi kim, this this All You Can Eat Galbi at New Seoul Restaurant (새서울식당) by Nowon Station (노원역) still around, what is the overall bill per person. Hi, I went to Mapo Sutbul Galbi (마포숯불갈비) after seeing your post. It was amazing. I think we ordered a bit too much for 2 people but I wanted to try a bit of everything. Thanks for the recommendation. I need to try one of the galbi jjim restaurants next time I’m there..
for the mapo one, should we order less than the number of people present? do they count by number of people? is it considered expensive?